﻿ Pennywise Terrorizing Fortnite Players! 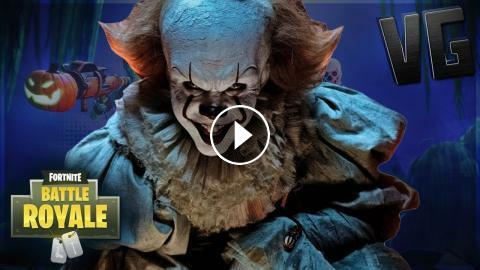 Trolling gaming video from Ben Perrin Official, Fortnite Pennywise “IT” voice impression trolling video with a twist. In this episode pennywise decides to terrorize the Fortnite community with his amazing voice! If you enjoy pennywise voice trolling make sure to like and comment for more! I hope our VideoGames followers really enjoy this episode! Other great Pennywise IT trolling videos to check out! Go buy and watch the IT movie! Donald Trump & Pennywise Trolling Fortnite! Fortnite XBOX vs PS4 players - WHO'S BETTER? Spooking Players as Vampires in Fortnite! When 100 Players Stand Still In Fortnite!